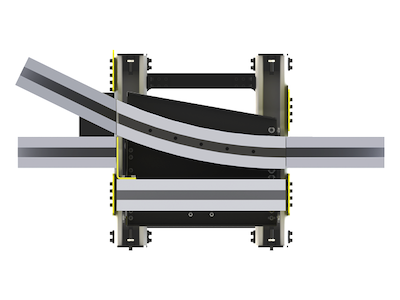 Knight’s RAD Series Switch Track Rail allows for fixtures to be transferred between work zones without cranes, fork trucks, or disassembling the system. 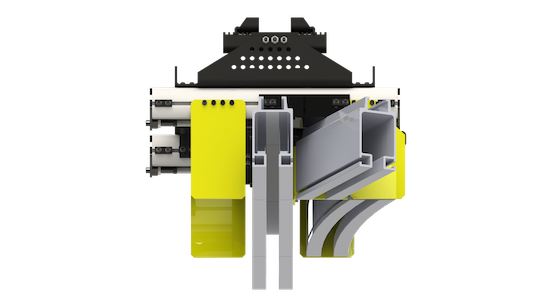 It is a pneumatically operated track system that can be controlled from a fixture control handle or from a pendant switch that hangs below the switch track. This track is available in RAD4110 and RAD7510 series rail. 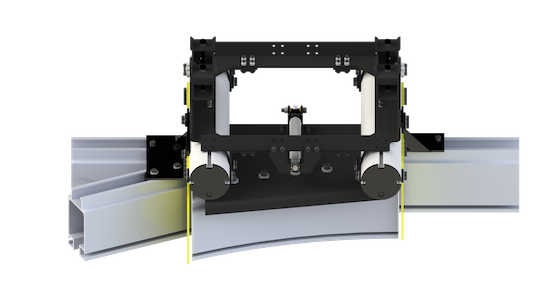 Each RAD Series Switch Track Rail is custom designed specifically for the needed application. For more information, please contact a Knight Representative. Fixture Control Handle or Pendant Switch Operated. Most Knight Trolleys are capable of traveling inside of the Switch Track.